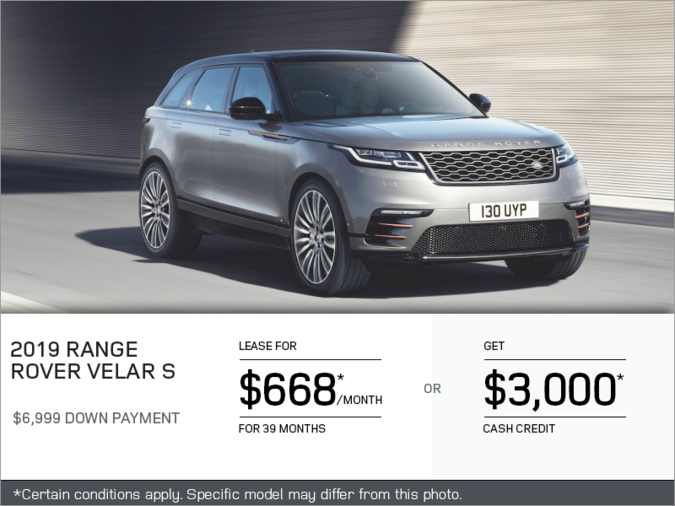 Lease the 2019 Range Rover Velar S starting from $668 monthly for 39 months with $6,999 down or get $3,000 in cash rebates. © 2019 Jaguar Land Rover Canada ULC. 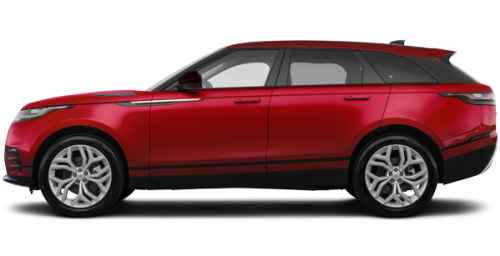 *Lease with Land Rover Canada Financial Services a new (in stock) 2019MY RR Velar S (P300) starting from $65,667 (including freight $1,700 and PDI $495, admin fee $395, A/C Charge $100 and RDPRM fee including agent fees of up to $96) for $668 per month based on a 39 month lease, with $6,999 down payment and after $1,625 combined Land Rover and retailer lease discount applied. Duties on new tires, registration, license, insurance and all applicable taxes are extra. Down payment, duties on new tires and first payment due at delivery. A mileage restriction of 52,000km over 39 months applies. A charge of 25 cents per km over mileage restriction applies plus applicable taxes. **Manufacturer discount of $3,000 to retailer is available on cash purchase of a 2019MY RR Velar S (P300) and will be deducted from selling price before taxes. Offers cannot be combined with any other offers. Offers available to qualified retail customers ending April 30, 2019 . Special order may be required. Offer may be cancelled at any time without notice. Vehicle may not be exactly as shown. Retailers may sell or lease for less. Visit your local Land Rover Retailer for full details.